The Walt Disney Company today announced a program in collaboration with littleBits, the educational technology company that is reinventing the way kids learn, with the aim of closing the gender gap in STEM (Science, Technology, Engineering and Math) starting at the point of highest leverage: 10-year-old girls. Snap the Gap will kick off with a year-one pilot valued at $4 million, for 15,000 girls in California. 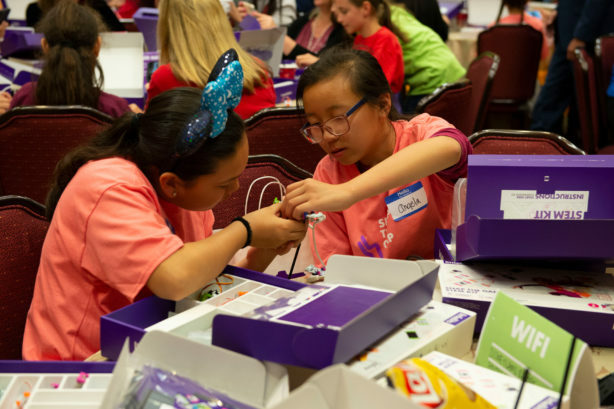 Participants will receive a littleBits STEM Starter Pack with an estimated retail value of $300, funded by The Walt Disney Company, along with a one-year immersion in an inventor community and mentorship by an inspiring adult in STEM. UC Davis, which leads California Million Women Mentors, will help recruit participants and mentors and measure the program’s impact. With this launch, Snap the Gap is calling on STEM professionals to join the movement and volunteer as mentors or partners; additional information can be found at SnapTheGap.org. Data shows the gender gap in STEM appears around the fourth grade and continues at various milestones in a girl’s school and career trajectory. 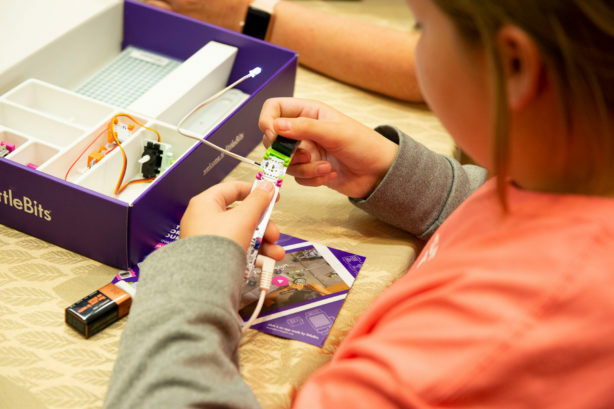 For the past seven years, littleBits has been capturing girls’ interest in STEM and will use its insights to equip girls with tools to propel their interests further and provide a support system to help them withstand cultural and systemic forces they may encounter. Hands-on Learning: A uniquely branded littleBits Base Inventor Kit or littleBits Electronic Music Inventor Kit encourages girls to learn through physical play, turn their ideas into inventions and solve problems they care about. Immersion in a Safe Community of Inventors: Participants will be enrolled for one year into JAM.com, the largest paid subscription course platform for kids. This is a safe space for girls to feel as though they belong and meet like-minded peers with whom they can invent and share their work. Mentorship: Girls who have mentors are 2.5 times more likely to be confident in their ability to succeed in school and careers. UC Davis and CA Million Women Mentors will pair girls with mentors and will also provide technical assistance to those mentors, as well as to site coordinators, to allow girls to experience a deeper level of engagement while growing a strong STEM identity. After the first-year pilot, Snap the Gap plans to add five new states to its continued efforts, with an eye toward reaching all 50 states—and the roughly 2 million 10-year-old-girls who live in them—over the next decade. For more information, please visit SnapTheGap.org.